Do your kids like Idli's ? Do you kids eat leftovers ? If the answer to these questions are a big NO, then I have the right recipe for you. 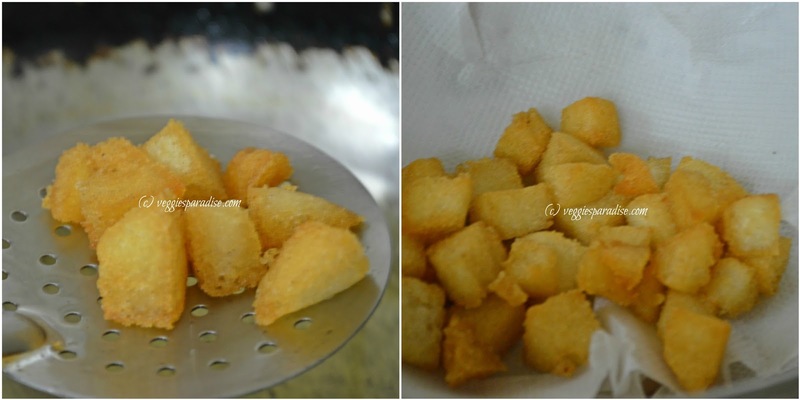 Just in few steps this delicious snack can be made and while preparing the first batch of fry and continuing with the rest the first batch will just disappear into thin air 😉. You can also make this recipe with fresh idlis. So lets see how it is prepared. 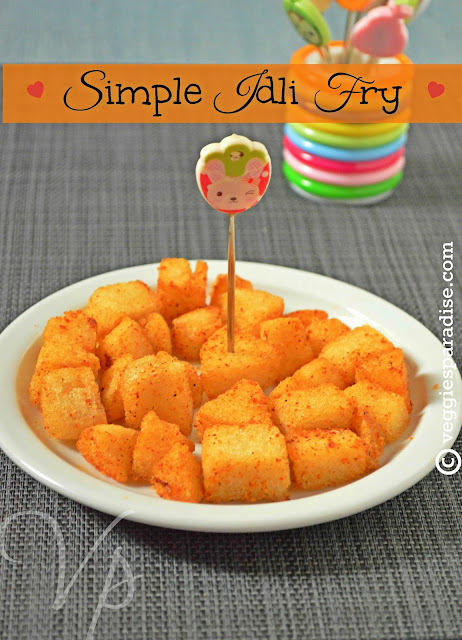 Take Idli's and Cut them in medium size cubes. Take them and put them on tissue paper to remove excess oil . Sprinkle the powder and toss it gently. You can cut them either in cubes or as strips. Fry idli's on high heat so that it absorbs less oil. 1. Cut the Idli's into medium sized cubes. 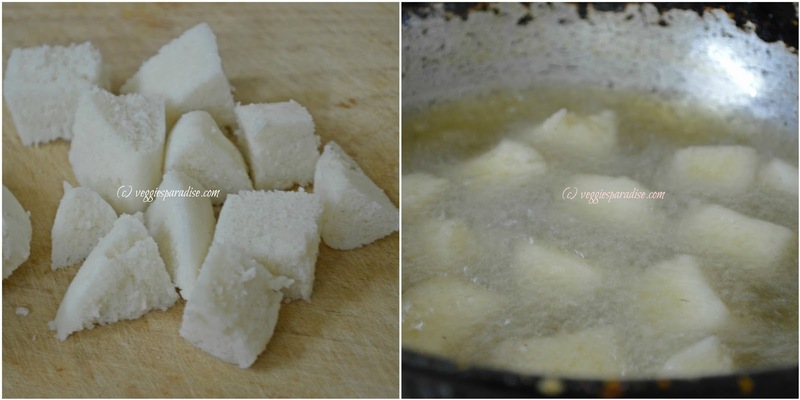 Heat oil in a pan and fry these cubed idli's at high heat until they turn golden brown. 2. Take them out and place them in a tissue paper to remove excess oil from it. this is a deep fry. those who want to avoid deep fry can they saute with little less oil alternatively fry in microwave with dribbling of some oil on idli cubes? Yes instead of deep frying we can bake in microwave.